BMG was founded in October 1985 by brothers Brian and Tony McGowan at the site of the old Marine Ballroom in Bundoran. Neither men came from a hardware background; Brian spent years abroad on construction projects in the Middle East while Tony spent 16 years travelling around the world on cargo ships with Irish Shipping Ltd starting as a Cadet and finally sailing as Captain. Both had a keen interest in DIY projects. Looking back, they feel that not having experience was a help as they listened to what their customers wanted – an ethos which still persists in the business today. In 1988 BMG moved to Main Street and in 2007 moved to its present location, a purpose built premises on a 3 acre site on the outskirts of town, just off the Bundoran/Ballyshannon bypass. BMG started with a big emphasis on DIY and later moved on to supplying the full range of building materials to the Trade as well. Today BMG employs over 30 full-time and 10 part-time staff. The original founders are still involved and have been joined by Joseph Mc Gloin in his role as Trade & Commercial Director and Tony’s son Bernard who looks after the Retail shop business. Long serving expert staff specialising in construction, insulation, flooring, roofing, painting, tiling or gardening are happy to take the time to advise you through every stage of your project, big or small whlst operating from modern showrooms. BMG retain their DIY and small jobs expertise whilst also specialising in the self-build project, supplying everything from foundations to finish. They offer free prompt delivery to South Donegal, North Leitrim, North Sligo and Fermanagh. 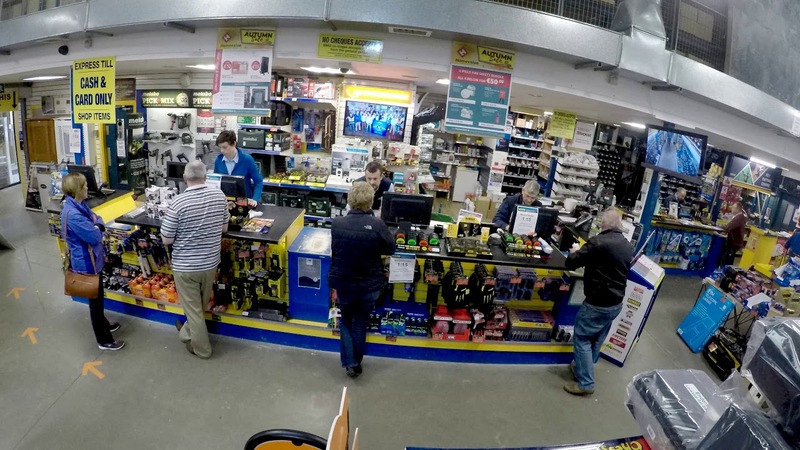 In 1999 an associate company, Donegal Town Hardware and DIY Ltd was set up, run by other members of the McGowan family and adopting BMG’s model of stocking a huge range of products, hiring expert staff and putting their customers first. BMG places a big importance on giving something back to our wider community over €10,000 in donations are made to charities and sports clubs from Ballyshannon to Sligo Town. BMG and Donegal Town Hardware are both members of United Hardware, Irelands largest group of Independently owned and operated hardware stores, giving us the buying power to offer the widest range of products at the best possible prices. Constantly evolving, In 2018 both stores adopted Homevalue Hardware Branding which they believe offers their customers an improved shopping experience overall and the benefits of nationally recognised advertising campaigns.